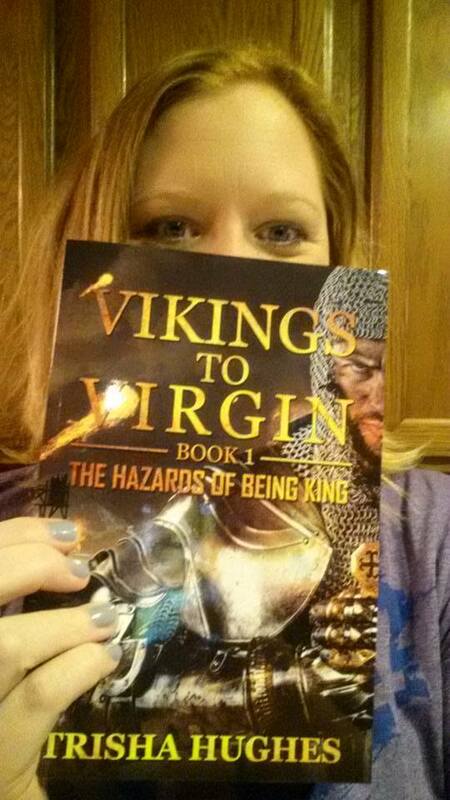 When I was approached by Austin Macauley Publishers to read and write a review on Trisha Hughes’ book, “Vikings to Virgin – Book 1 – The Hazards of Being King” I was excited to read a book that covered the history of rulers from the Vikings to Queen Elizabeth I. My ‘expertise’ you might say is the Tudor dynasty (and a bit of Plantagenets), so to be able to learn more about the beginning was thrilling. Over the past couple of years I’ve attempted several times to dive into the early years of English rulers but never really got into the story because I honestly had a hard time pronouncing the names in my head. Silly reason, right? I know. I’ve watched the series, “The Last Kingdom” and was intrigued by the stories of the Vikings in England. When I opened this book I promised my self that I would be open-minded and take this in as a learning experience. 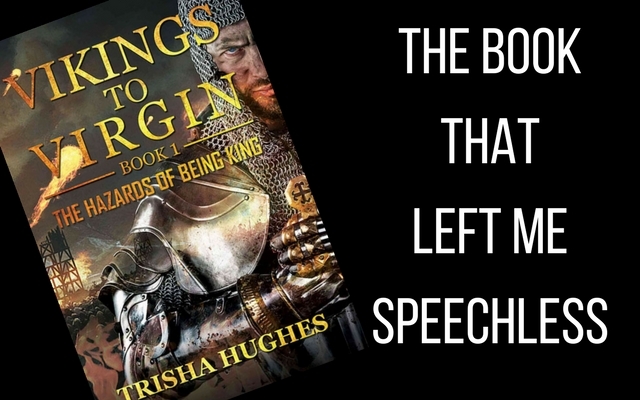 From the beginning Hughes writes in her Foreword that, “I have adhered to the facts as best I can and hope that it will make is easier to visualise these past monarchs as flesh and blood characters and not simply eccentrics in a history book.” I’ll give the author that – she did these men and women to life for me and did a brilliant job telling their stories…that is, until the Tudor period. But we’ll get back to that in a little bit. As far as the early rulers of England go, I was surprised to read how quickly, and sometimes suspiciously, the person sitting on the throne changed. There seemed to have been a lot of rulers who were poisoned or murdered so another could wear the crown. Maybe surprised isn’t the correct word to use because we know how things happened during the Wars of the Roses. The correct term would be amazed – that being a ruler in England was always a tenuous position for those that held it. The storytelling by Hughes is wonderful. It brought me into the story and I wanted to know more. She did a great job at finding the interesting points of each ruler to share with the reader. Like the time a Scottish king rode his horse off a cliff at night which allowed Edward I to look closer at taking the throne of Scotland for himself. The section on the mighty Plantagenet dynasty is 179 pages of the 352 page book, and rightfully so since they ruled the country for over 300 years. I would love for someone who is an expert on this dynasty to read the book and fact check it for me. The impression I got from this book is that it is non-fiction, but there are no notes or bibliography section of the book for me to check her sources. I can about imagine how large of a section that would be for a book covering this vast timeline but without it I’m left wondering how accurate the information is. Speaking of accuracy, I arrived at the section of the book about the Tudors – a whole 73 pages – and from the beginning of the chapter about Henry VIII I could tell something was a bit off. Starting with this line, “Henry was crowned in the beautiful sunshine of Midsummer 1503…” Uh, what? 1503!? As all Tudor fanatics know, Henry was crowned in 1509, after the death of Henry VII. In 1503, Henry VIII was 12 years old. It was the year that his mother, Elizabeth of York died after giving birth to a daughter. From this moment my radar was on and looking for mistakes. Next, I came across a section about the execution of Anne Boleyn (page 312) that stated a day after the execution of Anne that Henry married Jane Seymour. Sigh. I’m not sure who fact checked this section of the book but it clearly was not someone who specializes in the Tudors. Henry VIII married Jane Seymour on May 30th – not May 20th. It’s been said that they became engaged on the 20th. The next “fact” in the section about Henry VIII that I question is where the author states that Henry, after the death of Jane Seymour on 24 October 1537, immediately began looking for a new wife. It was not immediate by any means. If I recall correctly, Henry went into seclusion for a long while after the death of his sweet Jane. Thomas Cromwell and the Council may have been looking for a replacement queen for Henry but it wasn’t immediately after her death. Henry dressed in mourning clothes for months after the death of his beloved wife. It wasn’t until 1539 when negotiations concluded for the marriage with Anne of Cleves. “They are to announce to Francis that though the Prince is well and “sucketh like a child of his puissance,” the Queen, by the neglect of those about her who suffered her to take cold and eat such things as her fantasy in sickness called for, is dead. The King, though he takes this chance reasonably, is little disposed to marry again, but some of his Council have thought it meet for us to urge him to it for the sake of his realm, and he has “framed his mind, both to be indifferent to the thing and to the election of any person from any part that with deliberation shall be thought meet.” Two persons in France might be thought on, viz., the French king’s daughter (said to be not the meetest) and Madame de Longueville, of whose qualities you are to inquire, and also on what terms the King of Scots stands with either of them. Lord William must not return without ascertaining this, but the inquiry must be kept secret. By the way, there is no contemporary evidence for Henry VIII calling Anne of Cleves a “Flanders Mare”. Gilbert Burnet, Bishop of Salisbury, wrote in his 1679 book that Henry “swore they had brought over a Flanders mare to him”, but that is him saying that Henry VIII uttered those words and it is not backed up by evidence. Anne was not from Flanders anyway, something that Henry VIII was well aware of. – Further reading: Anne of Cleves – Flanders Mare? When we arrive to the section about Catherine Howard, Hughes writes that her father was Thomas Howard, 3rd Duke of Norfolk (page 317). This again, is incorrect. Her father was Edmund Howard. Then on page 318, it says that Catherine Howard’s final words were, “I die a Queen, but I would rather have died the wife of Culpepper.” False. She never said that. It was at this point that I put away the book – I couldn’t in good faith finish it. I was appalled at the glaring errors that even I, just a Tudor enthusiast could point out. It honestly upsets me that this book has gone out to the masses spreading inaccurate information. Now I’m questioning the accuracy of the rest of the book. **There is an audio version of my book review available on my patreon site – The Book That Left Me Speechless. Thanks for the review on my book. As stated in the Foreword, I’ve tried to adhere to the facts as best as possible. With so many different sources, dates vary sometimes by months so it’s difficult to pin down the exact date at times. Sometimes births are out by years and with as many as four variances.. 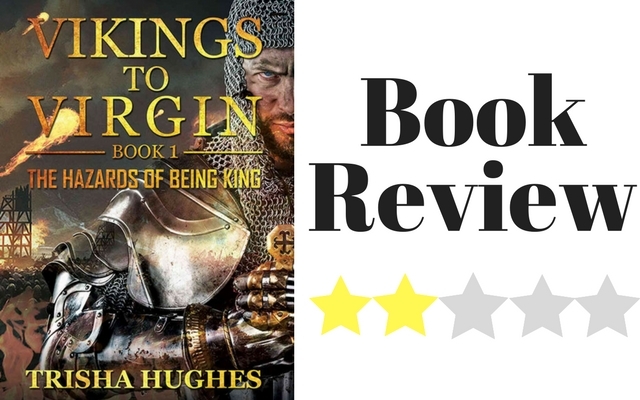 This work was meant to tell of the Kings and England and their life stories and although I not an expert in any dynasty, it is meant to bring back the love of history to many, written as a narrative and bringing these characters to life. Thank you for the review and thank you for saying the ‘writing style is wonderful’.